Microblading is a process where semi-permanent ink is pushed into the skin using a needle. The procedure is common for defining or correct eyebrows. Eyebrow microblading has become the new trend service in the beauty industry. It can be considered as one of the safe and effective methods available for the women to make their eyebrows look full. Most of the women are tired of morning beauty ritual process that they will have to go through every single day in order to make them presentable to the world. Since this is a semi-permanent makeup, you will be able to get rid of this hassle for the rest of your life. So if you spend a lot of time in the mornings to get ready, you can think about going for microblading. Microblading will deliver a natural looking eyebrows. This is the main reason why this technique is recommended for individuals who are suffering from hair loss or skin diseases such as alopecia. Cancer patients, who have lost eyebrows due to chemotherapy, can also think about following microblading to get effective results. In a Microblading procedure, pigments will be introduced to the first three layers of your skin. Therefore, you don’t need to think about adding any makeup. During a variety of physical activities, you will not have to worry about the way you look. For example, your eyebrows would not show any difference after you take part in a hot yoga session. It would just take about 1 or 2 hours for you to go through the entire procedure depending of the results that you want to achieve. This would provide you with the ability to stop worrying about your eyebrows for the next one to two years. 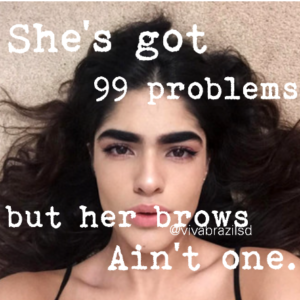 The procedure of eyebrow microblading is virtually painless. Most of our clients would say the pain level is 1 to 2 out of 10. The pigments being used in this painless procedure are organic and regulated. As a result, they are less likely to change the color along with time. Instead, they are designed to fade and lose saturation slowly over time.